We are the proud guardians of this magnificent mansion house, which is, as the name suggests, situated in the famous Glencoe Glen in the Highlands of Scotland. 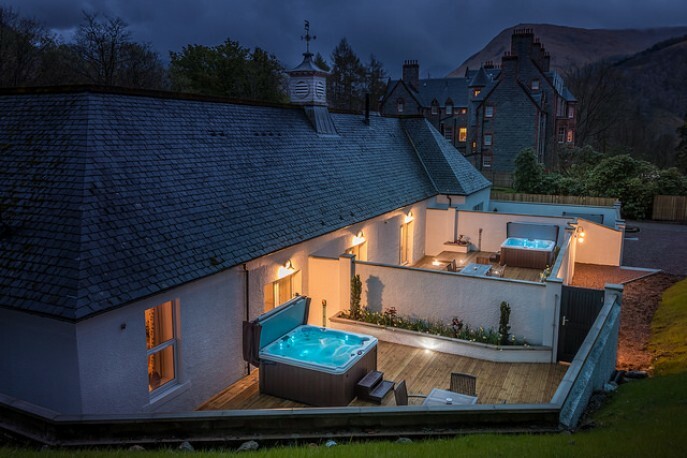 Glencoe House offers elegant accommodation located in 10 acres of private gardens in the heart of Scotland’s Highlands. 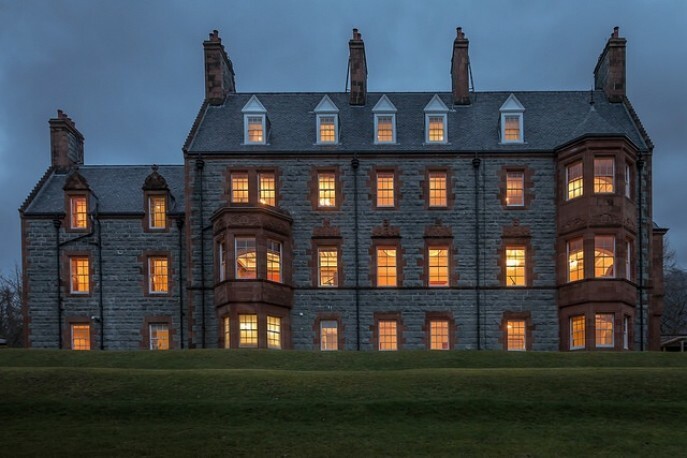 This historic mansion, the former home of Lord Strathcona, offers both tranquillity and outdoor adventure. 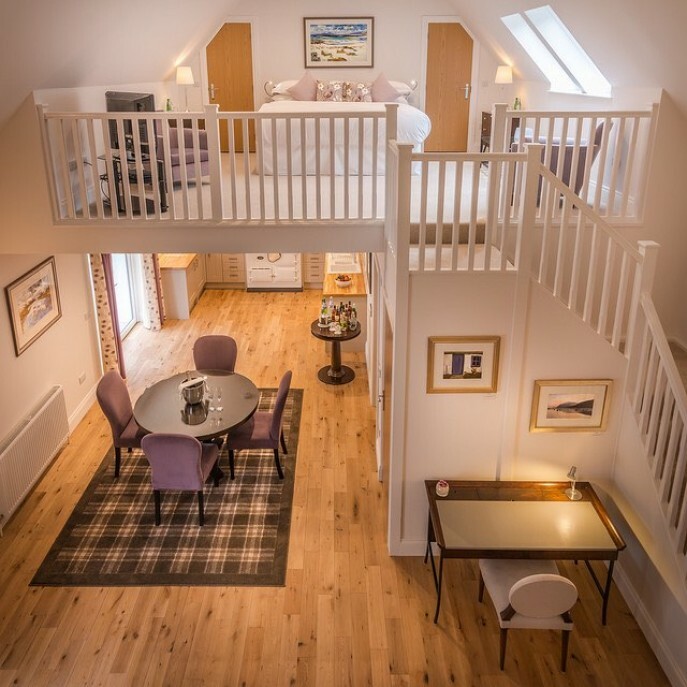 The suites are suited equally to those who wish to gaze at the Pap of Glencoe from their window as well as those who want to take on the challenge of climbing it. Either way Glencoe House invites you into the comfort and refuge of your own suite. Glencoe House offers luxury, 5 star suite accommodation in Scottish Highlands and is an ideal location for all occasions from a short break on a dinner, bed and breakfast basis to a unique and special wedding venue. 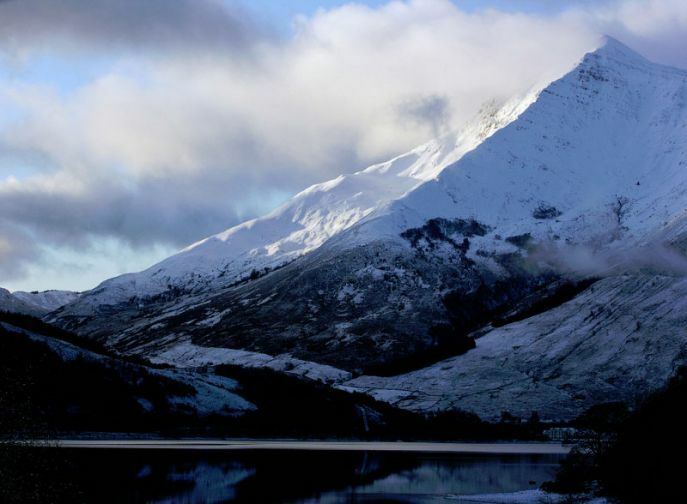 For the adventurous, the Glencoe area offers numerous activities such as walking, hiking, fishing, skiing or snowboarding and mountain biking. 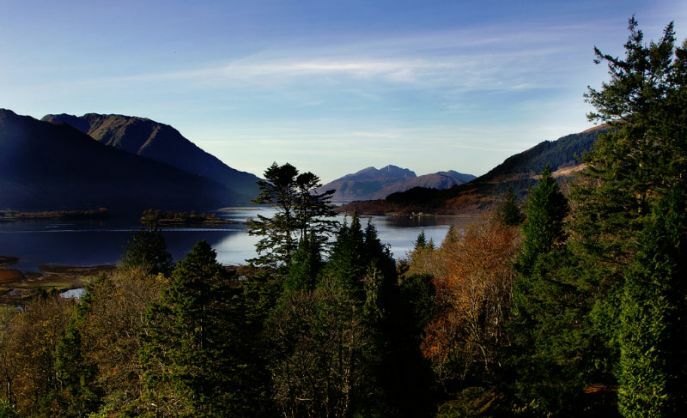 For those who want to take it easier, visits can be arranged for instance to the National Trust visitor centre or the ‘Harry Potter’ train which travels through Glenfinnan. 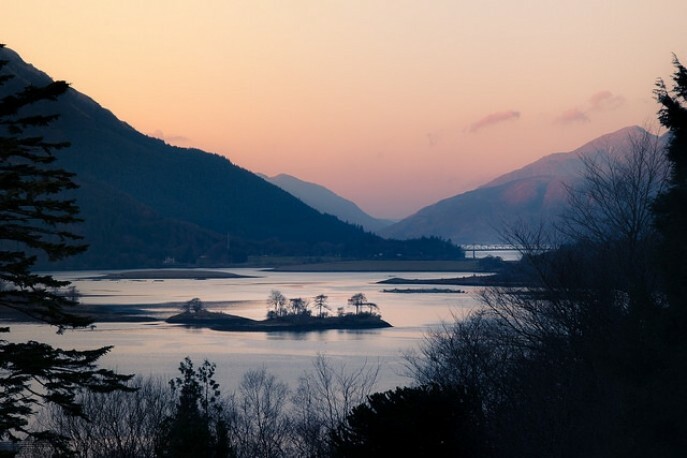 Alternatively you may retreat to your suite and relish the view of Loch Leven while sitting in front of a roaring fire or star gaze from your private hot tub. There are no shortages of memorable experiences here at Glencoe House. 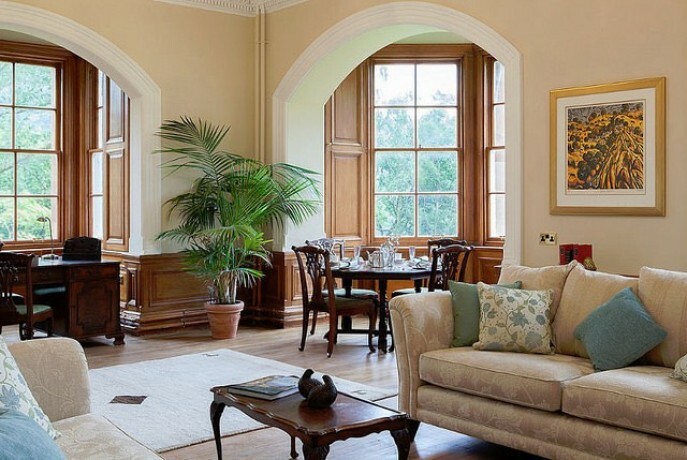 The size and charm of the suites at Glencoe House are unprecedented in Scotland and indeed the UK. Glencoe House is composed of two concepts, The Glencoe House Suites and The Bell Tower Suites. One of the unique features of The Glencoe House Suites is a large private sitting room, which boasts numerous original features such as marble fireplaces and ornate ceilings. The charming bedroom and bathroom continues the boutique hotel ambiance making you feel as though you are resident in your own historic mansion house albeit with the convenience of 21st century technology such as free wifi. Breakfast is served at the comfort of your private dining room table in your sitting room and will help you ease into your the day. After a day’s excursions you may also wish to remain within the confines of your suite for dinner. A five-course menu will be served at your own dining room table in the privacy of your suite. A sample of our evening menu can be downloaded here. 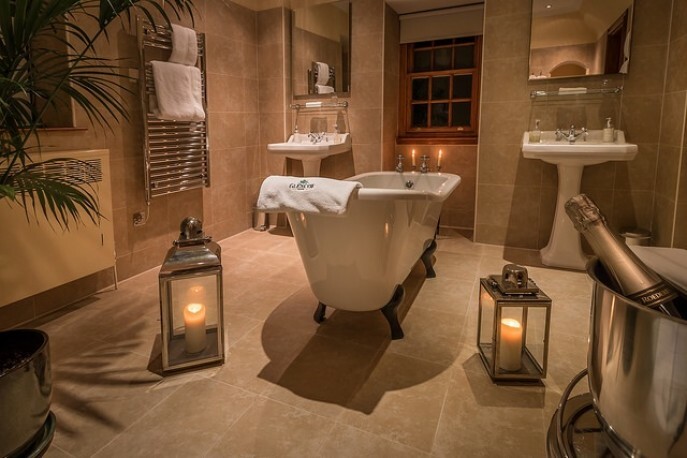 The Bell Tower Suites are located in a characterful building just 50m from the mansion house and comprise a comfortable sitting room with a wood burning stove, a fully stocked kitchen with Aga-oven, a luxurious bathroom while the first floor contains a peaceful bedroom with en-suite WC. 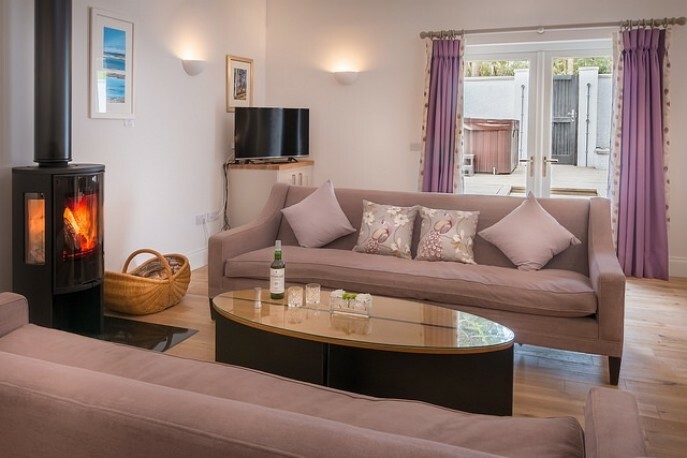 All suites also enjoy private walled gardens with hot tubs and alfresco dining. Breakfast is included in the room rate and fully catered for although not cooked or served; decide among a smoked salmon, a full Scottish breakfast or a continental alternative, all at your leisure. Dinner is flexible in The Bell Tower Suites, either book a table exclusively reserved for Bell Tower suite guests in the Great Hall of Glencoe House for a formally served, candle lit 5 course dinner (pre-booking is essential), or, relax in your suite and delve into your fully stocked kitchen which is full of delights. Choose from a wide range of pre-prepared gourmet meals and simply slip them into the Aga-oven and choose your accompanying wine or drinks from our ever-popular maxi bar. 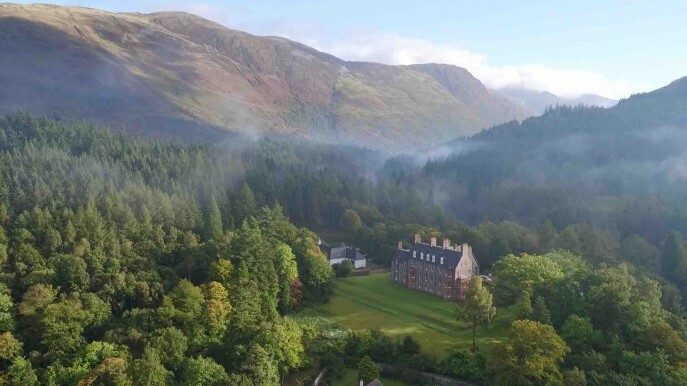 As a small hotel, Glencoe House prides itself on being able to provide a personalized service but don’t take our word for it, see Tripadvisor for guest reviews. Sometimes pictures say more than words, please click on the play button below to see a short film on Glencoe House.